This cabin has a panoramic view of HellCreek bay. Open kitchen and dining area with a second living room that overlooks the lake. There is even a loft that adds more options for cabin life! This lot has plenty of parking for you, your guests, and toys! There is a wrap around deck, and enclosed storage. Located 25 Miles North of Jordan, HellCreek State Park offers a wide variety of amenities. If you like the outdoors you can find it all here. 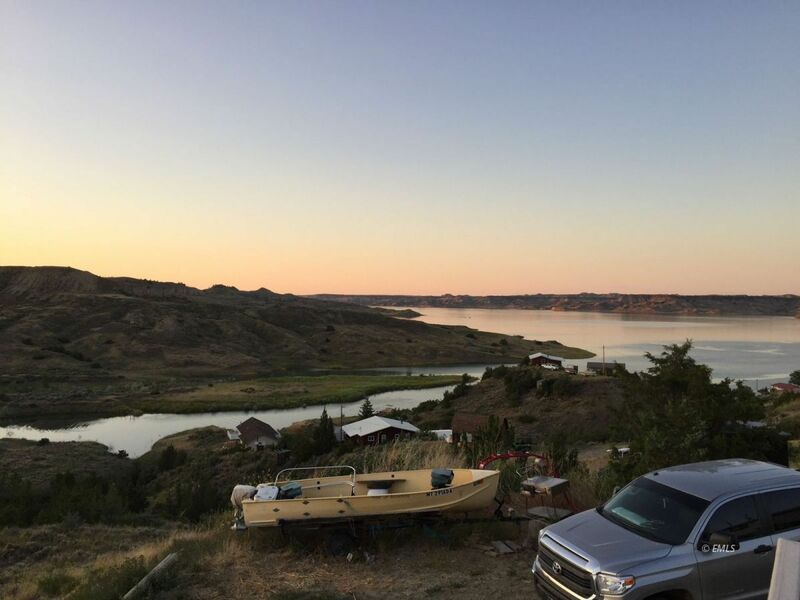 Hiking, fishing, boating, hunting, sunset watching, and most of all relaxing. The Marina has you covered with gas, bait and a selection of groceries. Hellcreek Recreation area is Surrounded by the Charles M. Russell National Wildlife Refuge, the third largest refuge in the continental U.S., with 1,100,000 acres.